The eyes are our window to the world. They enable us to enjoy the beauty of life. However, some people are less fortunate and are deprived from the possibility of having the “normal” life we know of. These people are partially or completely blind which requires them to adjust accordingly and find a way to live a normal life. One of these adjustments is the ability to tell the time despite the issue with their sight. Fortunately many companies have recognized this problem and created the so called talking watches designed to help these people keep track of time. I have combined five talking watches which I believe deserve your attention. Let’s take a look at my findings. My first talking watch for the blind is the ATOMIC! 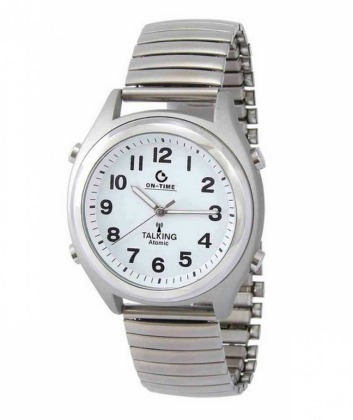 Talking Wrist Watch. The simple design of this watch makes it ideal for every person who is experiencing vision issues. The diameter of the case is 1.5″ therefore it can be prefect both for people with wide or narrow wrists. The color of the watch is silver except for the background of the dial which is white. This helps accentuate the black and rather big numbers that show the time. One of the best features about this watch is that you don’t have to set the time as it sets automatically using WWVB Radio Signal. 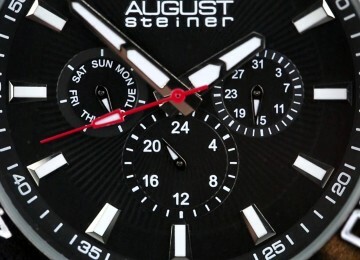 In addition to showing the time the watch has an alarm which once it’s set it will beep for 30 seconds. If you or any of your loved ones have problems with their sight the pleasant male voice from within the watch will make sure you always know not only the time but also the date. ATOMIC! 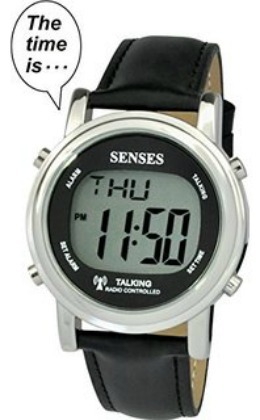 offers yet another talking watch for the blind that has different design from the one I have presented you before. This digital watch has a metal case that clearly shows the time. The details are kept to minimum and apart from the big display there isn’t much to see. The clear and loud male voice will tell you the time and the date every time you press the corresponding button. 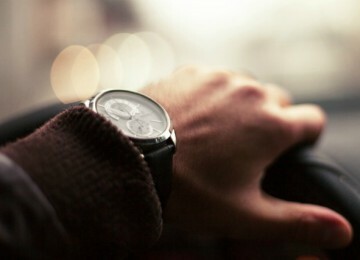 The watch is very accurate as the time is set automatically so there isn’t much room for mistakes. Apart from the date and time function you can also set the alarm to wake you up in the morning. If the person wearing this watch is only partially blind the backlight of the watch might come in handy if they want to use this watch without the talking option. The band is made of black leather and has a simple buckle clasp. 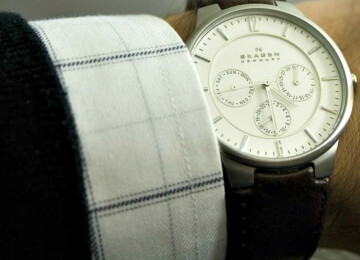 You really can’t go wrong if you choose this watch. Now I would like to show you something else. 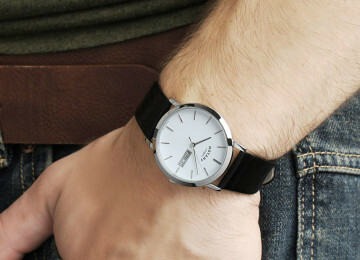 You will notice that most of these watches are fairly simple and have a very similar design. Some of them, if not all, can often be worn both by men and women. The market for talking watches is still an area that needs to be explored and these is definitely a lot of potential when it comes to implementing new designs and features. 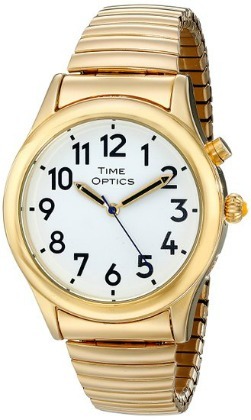 My next talking watch for the blind is Unisex Gold One Button Talking Watch. As I have previously mentioned the design is kept fairly simple allowing men and women to enjoy the convenience this watch offers. 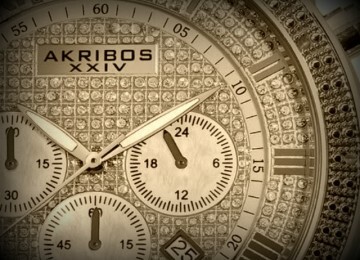 The entire watch is made of bright golden stainless steel. 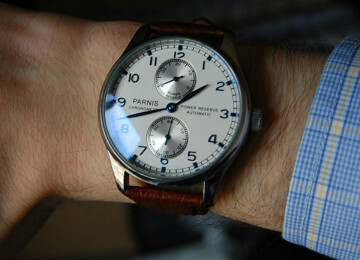 The dial being the only part that differs is white with large numbers and hands enabling clear view of the time. The button on the side of the watch when pressed tells you the correct time using a clear male voice. The strap is made in the form of expandable bracelet that can easily adjust to the size of your wrist adding to convenience. As I have promised I also have a fourth watch for you to consider. This talking watch for the blind is called TimeOptics Men’s GWC020GT, and yes you have guessed it, it resembles a lot to the previous few watches. But still let’s see what this watch has to offer. It is made of stainless steel with gold tones. What makes this watch different from the once we have already saw is the feature of you choosing male or female voice to tell you the time. If you get bored with listening to the same voice over and over again you can easily switch to the other until you get bored again or whether you have a preference. 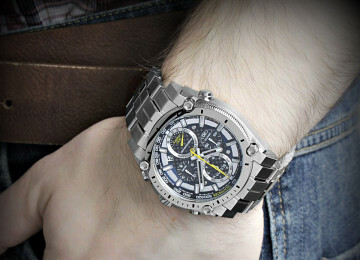 The watch also has an expansion band that stretches according to the size of your wrist like the few stated above. Finally I would like to finish my review with the fifth talking watch for the blind called LS&S Talking Watch. 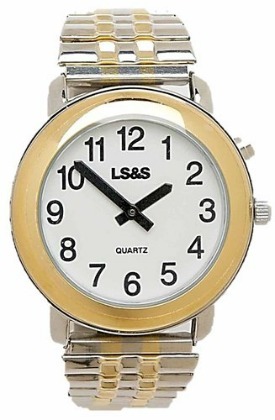 This two tone silver and gold watch might be exactly what you need and i recommend this for the partially blind. The dial is big enough for those with partial visual impairments to be able to tell the time and loud enough for those who are completely blind to be able to hear the time. There is no alarm or any additional features, just a simple button to press which will tell you the time. The only downside is that you will have to manually set the time, but the process is very easy so you shouldn’t have any difficulties with that. These watches have many things in common. They are all very simple and yet practical, very easy to use and will complement your appearance. 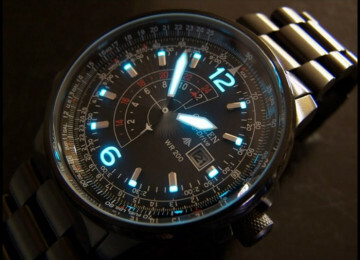 Above all the watches can be bought for very affordable prices making them available for everyone with a limited budget. If you are feeling your eyes are bailing out on you or you know somebody else with that problem than these watches can make life easier without costing too much.